We are pleased to introduce our proprietary product, the motorcycle ejection airbag. 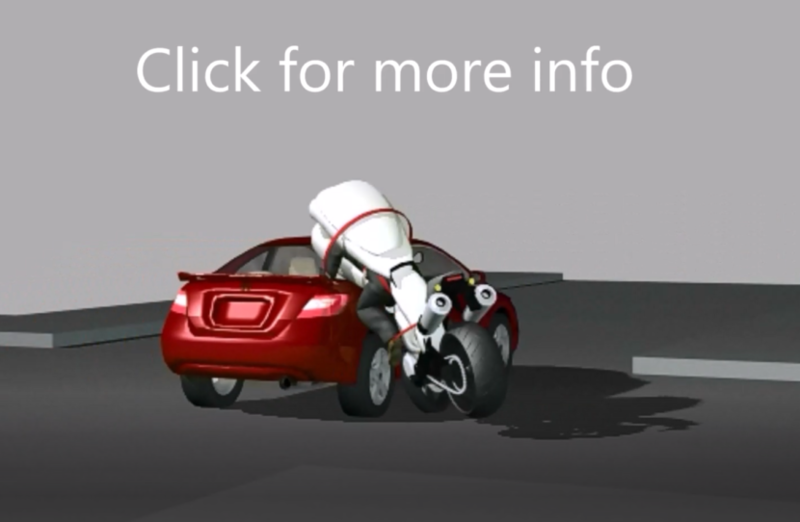 This product is aimed at making motorcycles as safe as cars. While cars have made great strides in the field of safety, motorcycles have seen very little advancement in the way of safety innovation. For this reason we are developing our patented motorcycle ejection airbag which will protect the rider from all sides in the event of an accident. The airbag is built into the seat of the motorcycle and works by enveloping the rider in a cocoon while ejecting him off of the motorcycle to prevent injury. Our belt system works to guide the airbag around the rider and keep the rider safe. Our smart electromagnetic technology knows to disengage the belt in a low risk scenario where the rider would prefer to jump off the motorcycle and also knows to automatically disengage when the rider has parked and turned off his motorcycle. Our system requires no extra clothing, bulky jackets, or other hassles that annoy the rider, in fact it is designed to be less intrusive than a car seat belt.